Geneva – IOM, the UN Migration Agency, and the Biometrics Institute have signed a Memorandum of Understanding (MoU) that formalizes closer collaboration on shared priorities, focusing on the responsible use of biometrics in the field of migration management. Biometric technologies are today a vital part of identity and broader migration management. IOM’s mandate includes support to States to conceptualize and operate their migration programmes, capacity building for better border management, direct assistance to all migrants, including those fleeing conflict or natural disasters, migrant integration and migration and health. With the responsible use of biometric technologies, States – and IOM itself – are better placed to more effectively support migrants including vulnerable persons, to increase the integrity and reliability of processes, and to increase security for all. The MoU, signed in September 2017, outlines the scope of the intended cooperation and the priority areas of interest to both entities. It will aid the two institutions’ efforts to address new and emerging challenges in a more coordinated way, such as how to use biometrics to better balance facilitation and security requirements, ensure better accessibility to safe transport modes for migrants and refugees, harness the benefits of biometrics to increase safe and regular international cross border mobility and address health challenges linked to international mobility. IOM has already developed considerable practical expertise and know-how on the use of biometrics in travel documents and border management, and it cooperates closely with the International Civil Aviation Organization (ICAO) and its technical working groups. The enhanced partnership with the Biometrics Institute will facilitate access to further in-depth expertise on the use of biometrics also relevant for other areas where IOM is active, such as registration of migrants in need of assistance, enhanced camp management, migration health, visa facilitation and other migration management fields. 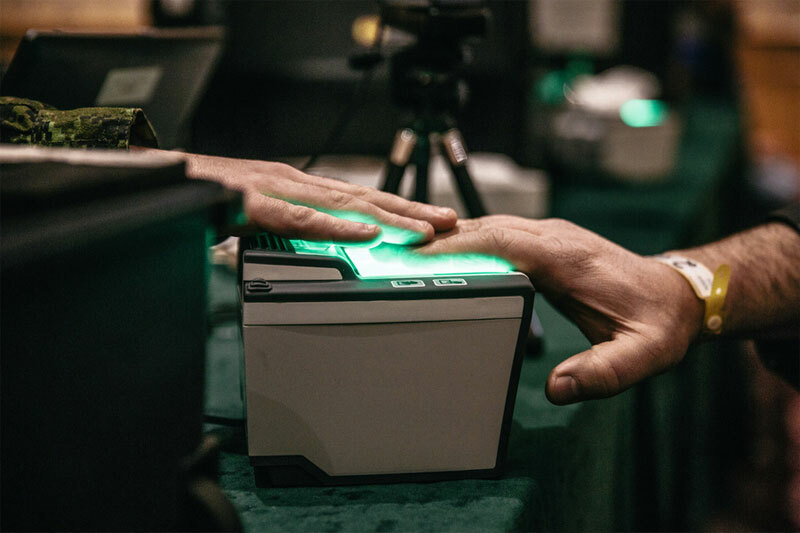 “IOM has become, over the last years, a major global player in the field of biometrics,” said Florian G. Forster, IOM’s Head of Immigration and Border Management. “The use of biometrics is potentially of interest to all areas in which IOM is active. This new partnership will help us promote the responsible use of biometrics, for the benefit of Member States and individual migrants,” he added. Following the recommendations based on an internal assessment carried out in 2016, IOM is now reinforcing partnerships and exchanges with key international actors in this area. It is expected that the Biometrics Institute’s expertise and training resources will contribute to strengthening the competencies of IOM staff in the biometrics area, and that the cooperation will contribute to better conceptualize, develop and implement new projects with a biometrics component. IOM will also use the Biometric Institute platform to share and discuss its own experiences. The Biometrics Institute is an independent and impartial international membership organization for biometric users and other interested parties established in 2001 to promote the responsible use of biometrics. It provides its members and key stakeholders with information about best practices, including Biometrics Privacy Guidelines, the “Top 10 Vulnerability Questions” and an annual industry survey. It has over 230 membership organizations from around the world representing government agencies, other users, suppliers, academic and privacy experts.